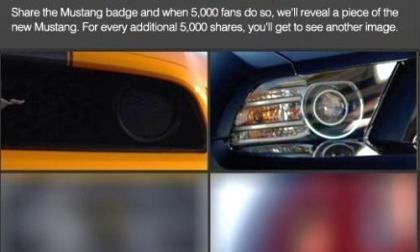 While spyshots of the 2013 Ford Mustang and 2013 Mustang GT have left little to the imagination, the folks at Ford Motor Company are slowly offering a quartet of tightly cropped teaser shots on one of the company’s Facebook pages – so far offering the world a look at the grille of the 2013 Mustang Boss 302 and headlight of the refreshed pony car with two more images on the way. At this week's Los Angeles Auto Show, Mercedes-Benz will unveil its high performance, more fuel efficient ML63 AMG with an announcement that includes tantalizing details like a top speed of 174 mph and 550 horsepower of performance. 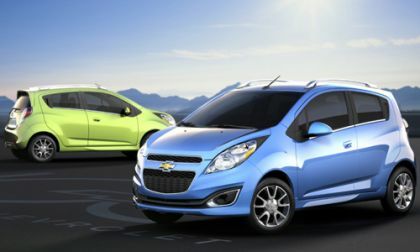 Chevy is packing a lot into its 2013 Chevrolet Spark that is being introduced this Wednesday, Nov. 16 at the Los Angeles Auto Show. 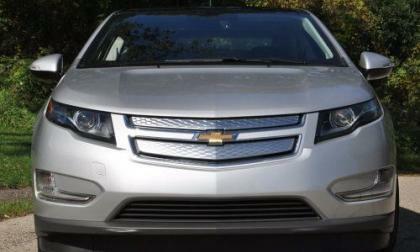 This is not the electric version of the A segment minicar that is expected to arrive in 2013. 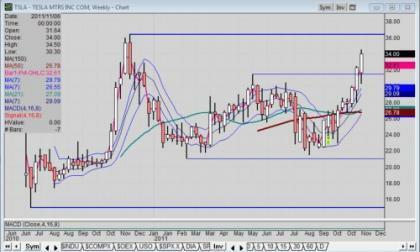 Last July there was only the potential for a short squeeze on Tesla stock. 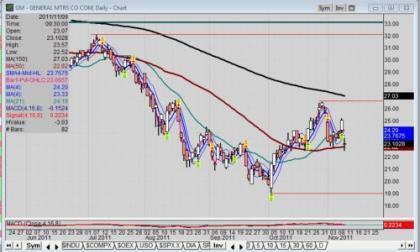 A Torque News reader now laments selling too early, not holding on long enough to Tesla Motors (Nasdaq: TSLA) stock which broke past a key overhead resistance level. 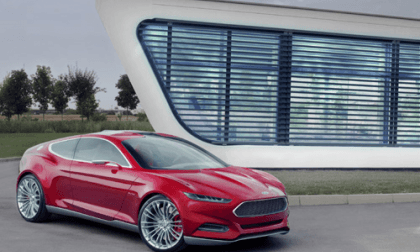 Ford has decided not to make its North American debut of the Evos Concept at the North American International Auto Show press days but instead wait a few days and bring it to the International Consumer Electronics Show in Las Vegas. 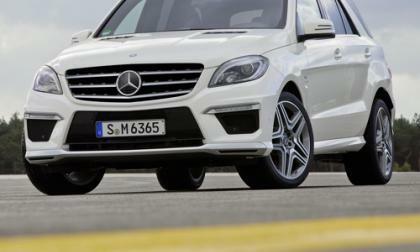 It's a demonstration that this concept is more about its technology than its automotive prowess. The National Highway Traffic Safety Administration will be intensifying their investigation the safety of the high voltage lithium ion batteries found in new electric vehicles after a 2011 Chevrolet Volt caught fire at an NHTSA testing facility. 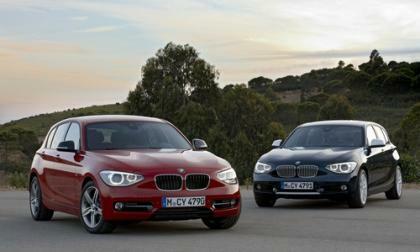 The BMW 1 Series has received a top score of 5 stars in the Euro NCAP crash test. 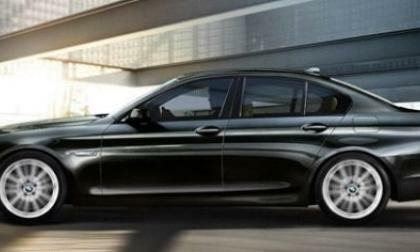 This shows how safe the new compact BMW 1 Series truly is. 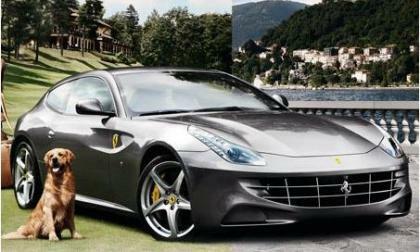 Each year, high end retailer Neiman Marcus features one special vehicle in their holiday catalog and for the 2011 holiday season, Neiman Marcus chose the unique new Ferrari FF – with all then examples of this limited edition Ferrari selling out in less than an hour from when the company began taking orders. The weekly chart of Toyota stock proves the dynamics of price do not lie, as the bearish fundamentals and problems of Toyota Motors hang on. BMW, the largest builder of luxury vehicles worldwide, is expanding their lineup of hybrids with 340-horsepower gas/electric versions of their two best sellers, clearly with designs on Lexus market share. 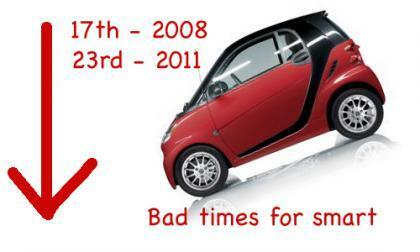 Automotive Leasing Guide's three year study of perceived quality bodes well for Ford, Kia and Hyundai who prosper but shows impending doom for smart, Scion, Mini and Mitsubishi who all plummet from 2008 to 2011. 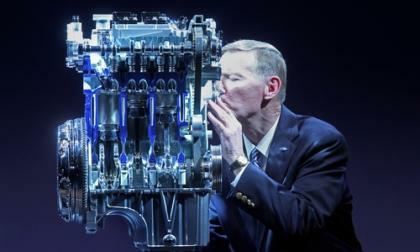 Ford is packing a lot of power in its new 1-liter EcoBoost engine set to debut on the all-new 2012 Ford Focus. The Ford 1-liter EcoBoost engine delivers amazing performance, efficiency, and ultra-low emissions for its size. 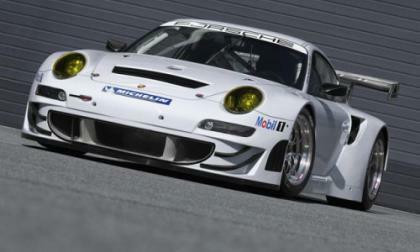 According to the latest news out of Stuttgart, Germany, the top model of Porsche Motorsport's customer racing vehicles, the 911 GT3 RSR will head into the 2012 season with extensive modifications. Porsche also unveield 911 GT3 RSR's U.S. price. 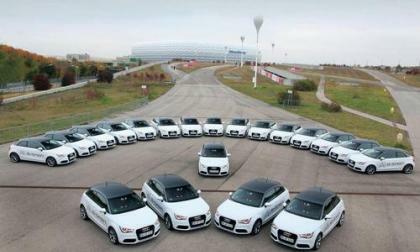 Audi has just started testing of its prototype electric car, the A1 e-tron. This premium subcompact electric car achieves an estimated 148mpg. 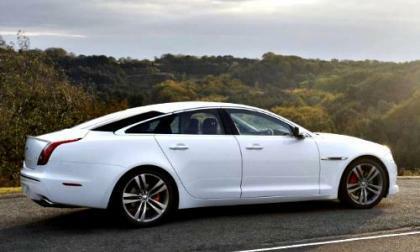 The 2012 Jaguar XJ returns with optional Sport and Speed packages adding to the look and feel of the executive sports car. These optional packages add enhanced performance and dynamic driving capability to luxurious appointments – a combination worthy of attention. The flagship Jaguar XJ sedan combines elegant good looks and sporting prowess into a delightfully road-worthy incarnation. 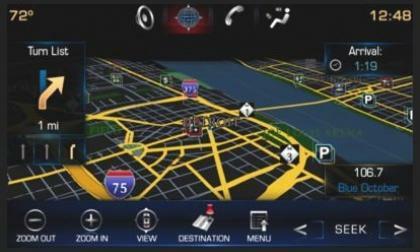 In the age of smartphone apps, touch screen tablets and Bluetooth technological advances the luxury automaker, Cadillac, has unearthed its Cadillac User Experience (CUE) at the CTIA Wireless show after four years in the making. 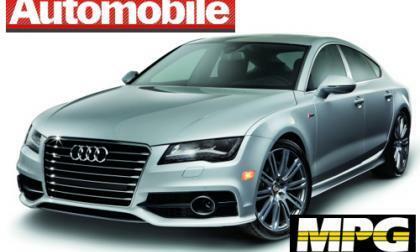 If early indicators are any clue, the 2012 Audi A7 is on track to be the North American Car of the Year with its latest designations as car of the year by Automobile Magazine and the Motor Press Guild, the largest automotive press association in the United States. 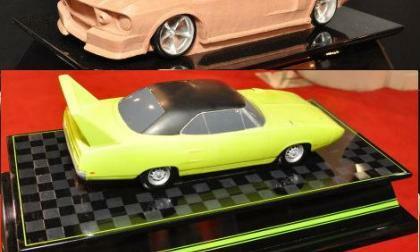 The SEMA Show is chock full of unique automotive products but none are as unique and unusual as the custom automotive burial urns offered by the folks from Last Rides. 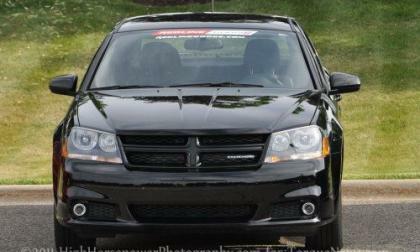 One of the new components in Chrysler’s fuel saving technologies being applied throughout their product lineup was the addition of a dual clutch transmission for the 2012 Chrysler 200 and Dodge Avenger sedans but reports indicate that those new high tech transmissions will not be offered on 2012 model year vehicles. 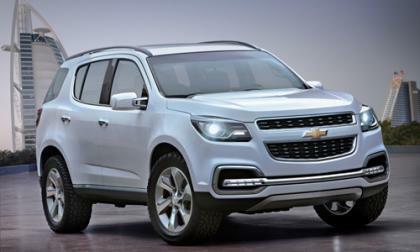 The 2013 Chevrolet TrailBlazer has made its global debut without specific information about price and little information about powertrain at the opening of the Dubai International Motor Show in the Middle East. 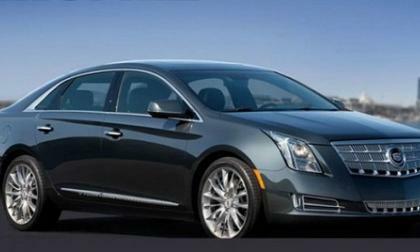 Ride like a Cadillac, sting like a bee: the accidental sneak peek of GM’s 2013 Cadillac XTS ahead of the 2011 L.A. Auto Show. 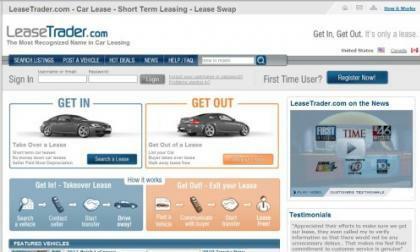 Blame the shift, not on better styling or better technology, but under-performing lease companies with unfavorable lease policies. 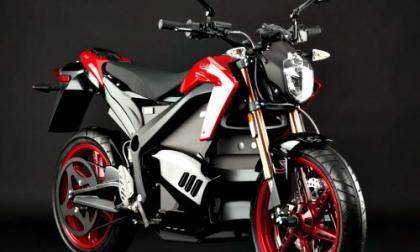 Zero Motorcycles has announced the 2012 model line including a new powertrain, models capable of over100 miles on a charge, a lifetime battery pack and top speeds of up to 88 mph. Sharp looking and quiet, every model has been reworked to be faster, go further and be more fun than ever before in the two-wheel tradition. 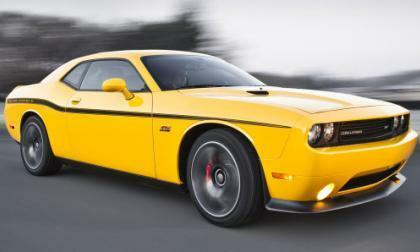 Earlier today we brought you the news that the 2012 Dodge Challenger SRT8 Yellow Jacket will make its debut at the 2011 LA Auto Show and now we know that the 4-door muscle sedan will also get a bright yellow special edition package debut in LA with the introduction of the 2012 Dodge Charger SRT8 Super Bee. Toyota has just released their 2011 Environmental Report for North American detailing the success of the most fuel-efficient auto manufacturer in the United States has had in the fulfillment of their fairly aggressive, five-year Environmental Action Plan (EAP). Not only has the company achieved breakthroughs within the industry’s leading fleet of sustainable, advanced technology vehicles, but has also reinforced its environmental practices and partnerships across all operations. Toyota has issued a news release about the price of the 2012 Toyota Avalon that contains this nugget of news: there is no news. 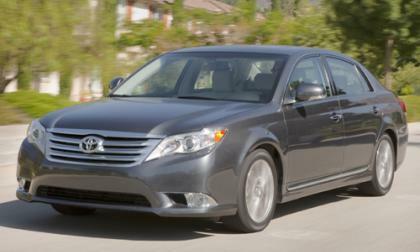 The 2012 Toyota Avalon costs the same as the 2011 model. 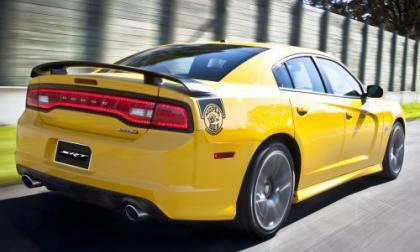 The Chrysler Group has announced that when the 2011 LA Auto Show opens, show goers will lay their eyes upon the newest limited edition Mopar muscle car in the form of the new 2012 Dodge Challenger SRT8 392 Yellow Jacket. 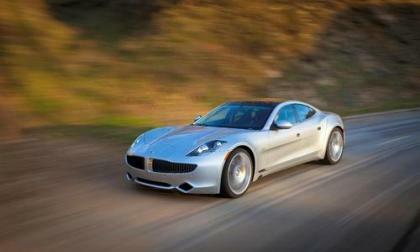 The Fisker Karma sedan has won Automobile magazine’s 2012 ‘Design of the Year' award. The Fisker Karma won for its “voluptuous overall body form," as well as the fact that it is a technology leader in the automotive industry, since it is the world’s first true electric vehicle with extended range. This is a classic case of buy on rumor, sell on the news, as General Motors Company (NYSE: GM) stock took a dive after beating quarterly earnings estimates. 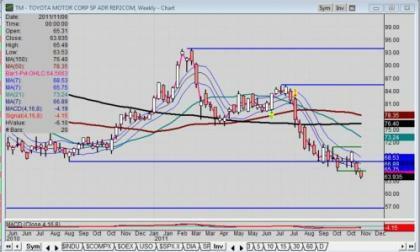 Question is, what factors are affecting GM stock price dynamics? Toyota Motor Sales, USA, Inc. just announced a voluntary safety recall involving approximately 283,200 Toyota and 137,000 Lexus vehicles to replace the crankshaft pulley on models with a V6 engine only.